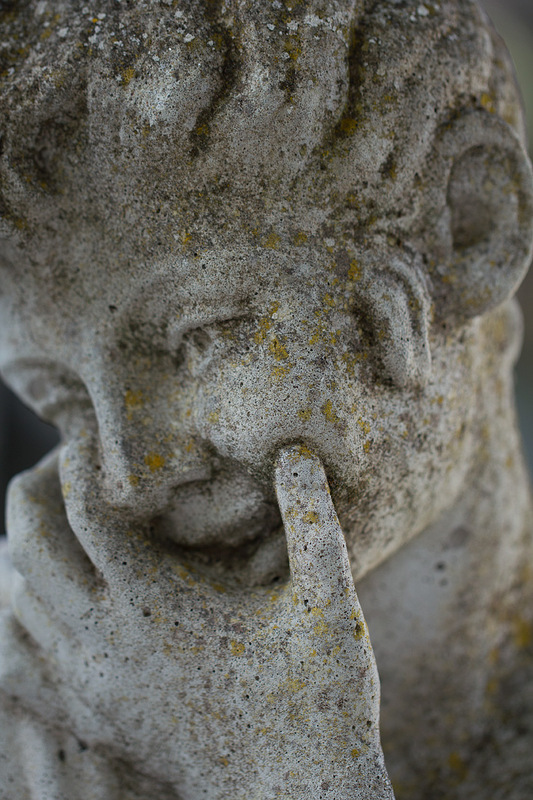 A detail of my cast stone statuette shot with my new macro lens. 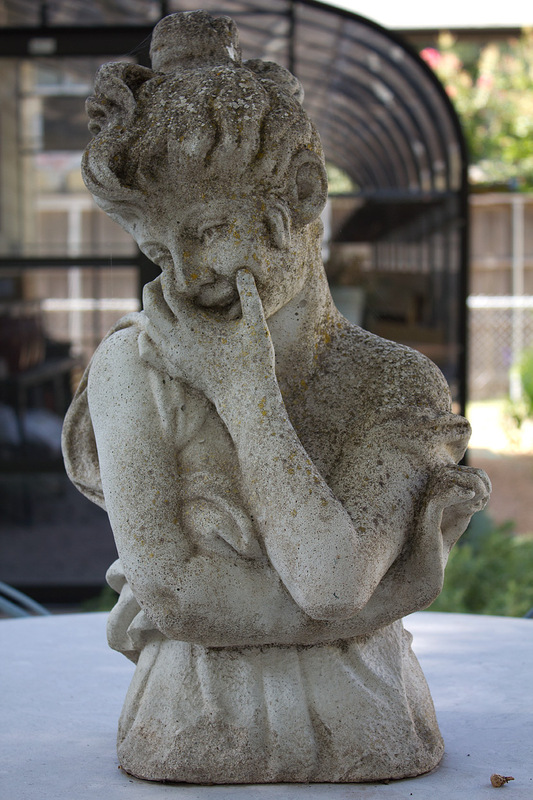 She may be showing her age, but in statuary, this is very desirable. Her provenance is unknown, but if she’s from Texas, her flecks of time took decades to form. Perhaps you remember her from a previous photograph, even if it was a shot of her rear profile. This time I wanted to use her as the subject using my new Canon EF100mm f/2.8L Macro IS USM lens, which you see above. For the following photo, I switched back to my standard zoom lens. Here’s the front view shot with my standard zoom lens. Previous post Remember My Bald Patch? Next post Yay! A Second Flower Spike!